Urgent and customized orders are recurring trends in the PCB industry. To shorten production times, it is necessary for production lines to be highly flexible while still satisfying customer quality control requirements. Common to traditional PCB factories are systems for solder paste printing, sampling,reflow soldering, and so on, all of which store relevant information for each corresponding station. 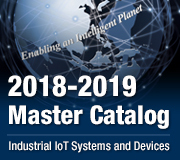 Low-level equipment information, such as that from PCs, PLCs, and sensors, is typically not integrated, thus limiting maintenance and management processes that require production data,leaving manufacturers unable to promptly clarify the root of any issues that arise. Smart productions systems provide a solution to this problem,and these can be realized only by establishing equipment connectivity. The obvious advantages of such systems are that the complete production history can be recorded and yield tracing can be conducted while integrating the data in the control room. This customer had a complete PCB production line and corresponding equipment, with management and maintenance of each station based on manual inspections and the handwritten records of on site personnel. Problems with connectivity had arisen due to production line expansion and increases in the amount of equipment at different times and equipment from different brands being unable to communicate effectively. This compounded the demands of visual inspections and made it more difficult to integrate low-level PLCs. In some cases, despite the soldering process being the most important stage in maintaining PCB production yield, the customer had different generation soldering technology (e.g., wave soldering and reflow soldering equipment) operating at the same time, which made connectivity even more difficult. As a result, the customer sought a suitable proposal to achieve interconnectivity at the soldering stage. 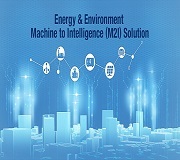 The short-term goal was to realize motor control and visual application integration as well as the real-time acquisition of data from PLCs, indicators, and PCB material input sensors.This datastream could then be monitored and integrated into the customer’s existing enterprise database. 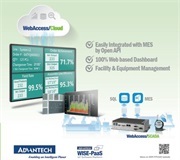 Advantech’s equipment interconnectivity proposal comprised four sections: 1) wave soldering/reflow soldering process data acquisition; 2) automated PCB movement and visual system integration; 3) equipment-end computing platform and local information integration; and 4) uplink data to the cloud and connect to a database. Data acquisition was achieved use the ADAM-6250 to acquire status records from spray sensors, flip machines, and the main equipment tower indicators (signals → TCP); and the ADAM-4570 to capture Mitsubishi PLC parameter data (RS-485 → TCP). Distributed movement and transport of PCB plates during paste soldering were achieved by connecting the equipment’s driver/motor via a PCI-1202U/AMAX-1240 serial control module. 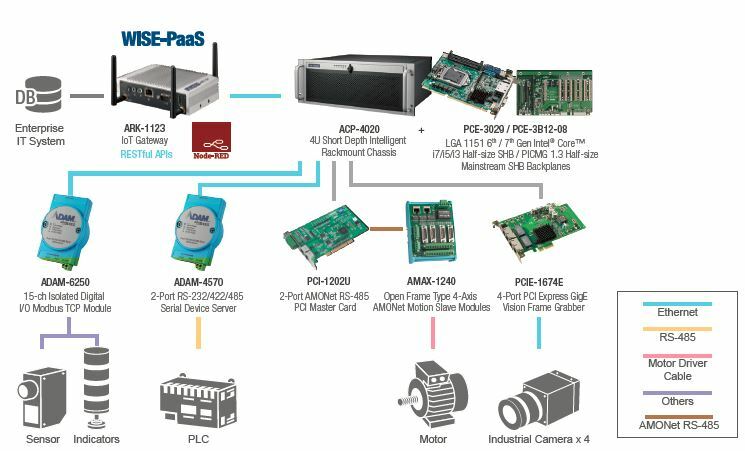 Additionally, visual location and image inspection were performed via PoE by utilizing a PCIE-1674E image acquisition card with data transferred to a ACP-4020 industrial computing platform for analysis. Integration of local-end information obtained from the ADAM modules was enabled by installing the ACP-4020 industrial computer in the reflow smoldering equipment. The IPC also acted as the main control and visual computing platform, delivering orders to reposition PCB boards via the PCI-1202U/AMAX-1240, while simultaneously planning routes based on the image provide by the PCI-1674. Data uplink to the cloud was achieved using the ARK1123 IoT manager, which was connected to the ACP-4020. The system was developed using WISE-PAAS platform tools; specifically, WISE-Agent (for long distance message acquisition), Node-RED Designer (for message management), and RESTful APIs (for data transformation). Finally, the data were integrated with the customer’s current enterprise databases. 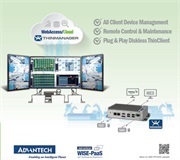 This PCB equipment interconnectivity demonstrates the operation of Advantech’s products as key components in each layer of the system,including data acquisition from the lower layers, transformation of various PLC data formats, and the distributed structure motor control and visual image acquisition; mid-layer computing platform and data integration; and the critical step of cloud data format management and enterprise database integration. In addition to being mutually compatible, these layers were easy to develop. 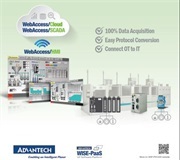 With particular regard to the computation layer, WISE-PAAS was invaluable in providing a flexible development platform, and Advantech’s support in assisting with the development enabled the customer to work with each handler and the RESTful API data format, thus completing highly customized on-site information integration with the extant database. The customer was able to complete a product demonstration in less than a year and then replicate this system in other mass production lines in Shanghai and Tianjin, thus increasing production efficiency via equipment interconnectivity.